You will love this quilt from Virginia Robertson. 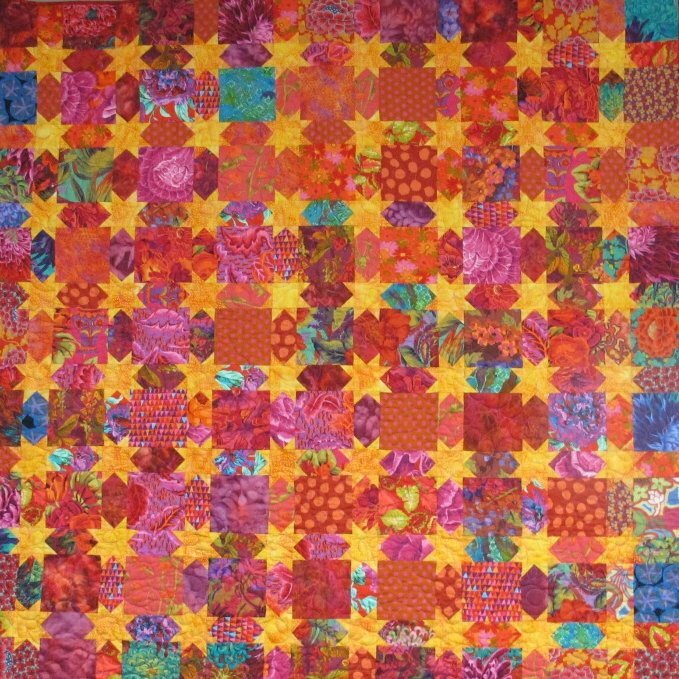 You will learn how to construct this quilt which gives the illusion of being tricky. As the quilt is assembled, the stars appear. Gather your scraps together and prepare for a great time.